It is common for a lender to require a home inspection before approving the financing for a home purchase. As part of the final report, a certified inspector will recommend repairs or changes that need to be made before closing the deal. But those reports lack the kind of detail you need for peace of mind. There are certain types of comprehensive inspections you should have done by experts before you finalize a home purchase. Sometimes older homes are allowed to go a long time without getting essential systems replaced, such as the plumbing. You should get a professional plumber to examine the complete plumbing system in the home you are considering to make sure that there are no major issues. Plumbing issues can arise in newer and older homes, so this is an inspection that every potential home buyer should do. If there are significant issues with the plumbing, ask the seller to solve the problems before you finalize the deal. A roof can be extremely misleading when it comes to repair and replacement needs. The roof on the home you want to buy may look great to you, but an expert might see a lot of reasons to have work done before the deal is signed. If a roof has been neglected and left to leak for a while, there could also be issues with water damage and mold. Be sure that the roof on your potential new home is in good working order before you sign the sales agreement. If the lights turn on when you flick the switch, then it can be tempting to assume that the electrical system in the home you are considering is just fine. But if that system has frayed wires and an outdated breaker panel, then there could be fire hazards. An electrical system could be relatively new and still have issues. If the house has pests such as rodents or squirrels, then those pests may have chewed the insulation off the wires and left the wires exposed. Never agree to purchase a home that has not first had a comprehensive electrical inspection done by an experienced and licensed expert. A home buyer who is unfamiliar with how home foundations work might see a crack in the foundation wall that has been patched and assume that the patch job fixed the problem. If the house you are considering has foundation issues, then it might cost thousands of dollars to repair those issues, and your insurance might not cover the repairs. A foundation, like a roof, can look sturdy to someone who is not an expert in home construction, but a professional may see a lot of red flags. As part of your home inspection process prior to agreeing to purchase a home, you should have a professional contractor examine the foundation and give you a detailed report on the findings. While the amenities in a home are not critical to the home’s overall safety and durability, you still want to make sure that you are getting what you paid for. If you are buying a home partly because of the in-ground pool in the backyard, then have the pool looked over before you seal the deal. The same goes for any amenities that are part of your home-buying decision. If you want to get professional guidance when you are ready to buy your next home, call Cityscape Brokers. We will take the time to make sure that your next home is exactly what you want, and we can help you get the inspections you need for peace of mind. Buying a new home can be a fantastic investment — both financially and for your family. Purchasing property is a great way to save money on housing in the long run, and also affords you a space to make memories with loved ones. However, because purchasing a new home is such a large investment, it can also be seen as a risk — which is why it’s important to purchase a homeowners insurance policy. Homeowners insurance policies can protect your house and the people and belongings inside of it in case of accidental damage, injury or disaster. 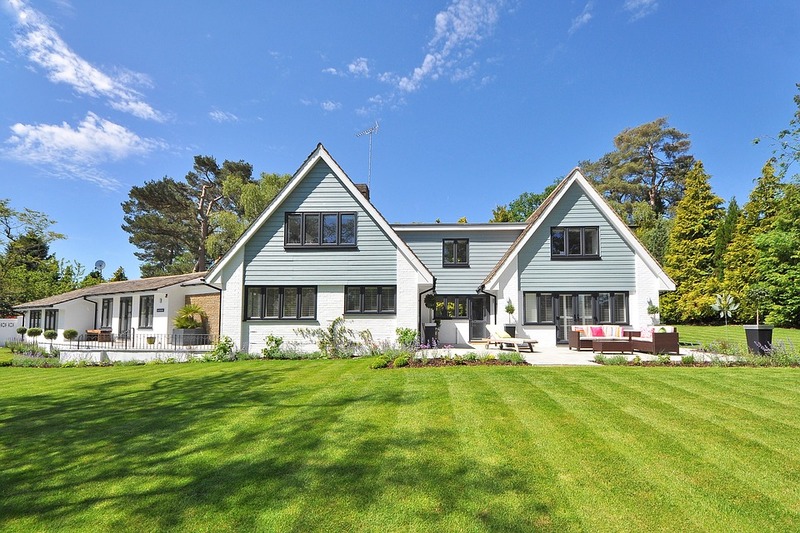 Here are some important things to know about your homeowners insurance policy when you decide to buy a new home, so you can be sure you are adequately covered. Before you decide to purchase a homeowners policy, it can be extremely helpful to shop around with different insurance companies and agents. You may get quoted different prices from different companies, and spending the time to speak with multiple companies could save you significant money in the long run. Another reason to shop around with different companies is to gauge customer service at the companies. If you ever do have to make a homeowners insurance claim, it can be a difficult and tiring process. You want to ensure that the person who works with you on your claim is kind, patient and helpful. 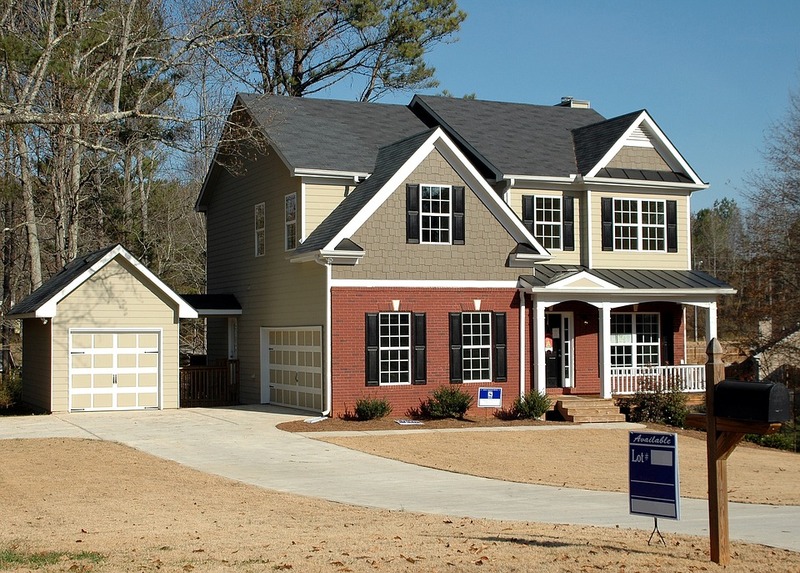 A homeowners insurance policy is usually pretty comprehensive. 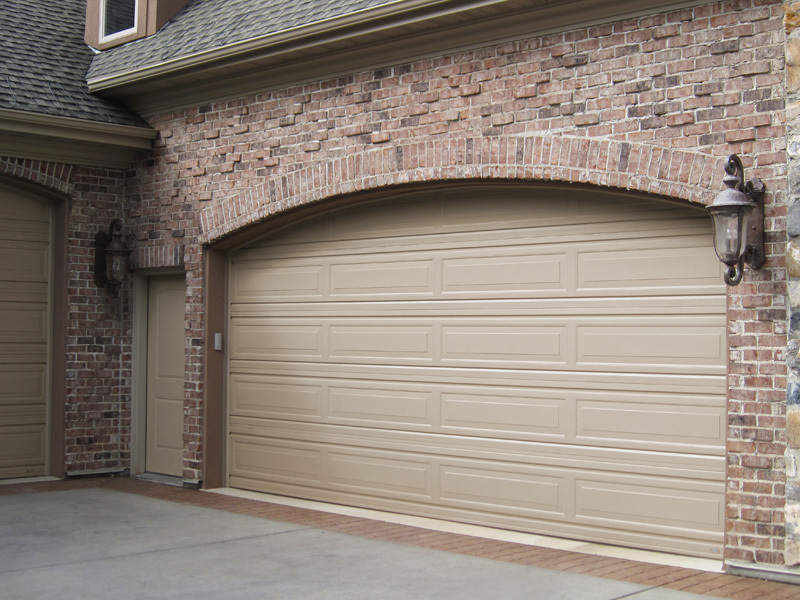 This means that it should cover damage to your property from things like storms, fires, robberies, vandalism and more. It should also give you liability coverage should anyone get injured in your home or on your property. However, there are some things that many insurance policies won’t cover. Many policies won’t cover flooding or water damage that comes from below — particularly if you live in a flood-prone area. If you run a business out of your home, many homeowner’s insurance policies won’t cover areas or equipment solely dedicated to that business. Arm yourself with a knowledge of what your policy covers and what it does not so that you can purchase appropriate supplemental coverage, should you need it. Even if you’re buying a new home, you may want to make renovations or additions to the current structure. If you’re planning to alter the home, it’s important to let your insurance company know that from the get-go. If your renovations boost your home’s value, your current insurance policy may become inadequate, which would leave you vulnerable in the case of damage or injury. Letting your insurance company know about upcoming changes to a home will ensure that your policy adequately covers everything you are adding. In many cases, there are some simple things you can do in your home to automatically lower your insurance premiums. Some common examples include adding deadbolt locks, having working smoke alarms, installing fire sprinklers, building a fence around a pool or putting in a burglar alarm system. Check with your insurance company about ways you can lower your insurance quote to save yourself money on the policy. Only a few years ago, residential solar installations were mostly of interest to those wanting to “go green.” However, as the cost of solar panels continues to drop, many Houston-area homeowners now find that a residential solar installation pays off both environmentally and financially.High utility bills also drive demand. Today, Houston-area electricity rates average 10.98 cents per Kwh, 7.58 percent less than the national average of 11.88 cents per Kwh. However, due to the significant cooling requirements in Houston’s subtropical climate, Forbes notes that utility bills here are among the highest in the country — more than triple those in Seattle, for example. 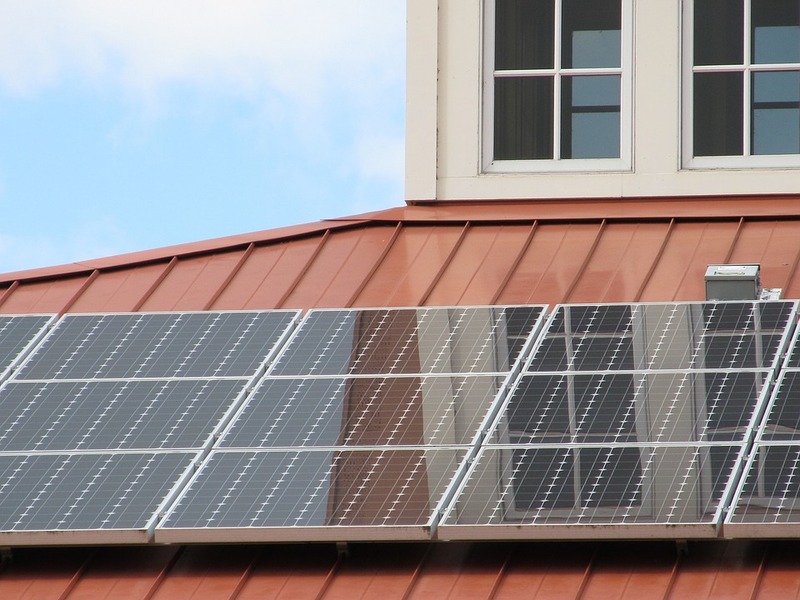 In Texas, the cost of residential solar is offset by various tax credits and rebates. And there’s good news about the Solar Investment Tax Credit (ITC) originally set to expire on December 31, 2016. The full 30 percent tax credit is now available for residential systems purchased and installed by the end of 2019. After that, a phase-out begins. In 2020, the tax credit is reduced to 26 percent. In 2021, the credit drops to 22 percent, and it ends altogether after that. In Texas, those who invest in rooftop solar also enjoy a full property tax exemption. A homeowner does not pay property taxes on increased property values resulting from a solar installation. This 100 percent property tax exemption is a commonly overlooked opportunity. Further cost savings are realized through incentives offered by local utilities and various government entities. Texas solar incentives are regularly updated at a website maintained by North Carolina State University. Some homeowners may want to pay cash for their system. Buyers are responsible for system maintenance, although manufacturer warranties for system components often cover much of a system’s typical 15- to 20-year lifespan. If you sell your home during the normal life cycle of your rooftop solar system, you’ll likely recover some of your investment in the form of a higher selling price. With interest rates on home equity and personal loans remaining at relatively low levels, borrowing money to pay for a solar system is a wise choice for many homeowners. A residential solar lease will often reduce the potential savings, but it does provide two big advantages. There is little or no upfront cash outlay, and the lessor, the actual owner of the system, takes care of installation and maintenance. However, since the leasing company gets the tax credits, savings are usually greater with a purchase. Remember that a home’s value is impacted by a purchase or lease decision. For example, FHA appraisals allow you to add the value of your system to your home’s overall value if you own the solar installation, but not if you lease it. A PPA is similar to a lease. You pay a preset amount for each Kwh of electricity that is consumed. When you require more electricity than the rooftop solar setup produces, you purchase the rest from the local utility in the traditional manner. Although PPAs are convenient, savings are usually less than if you purchased the system outright. The Simple Dollar offers specific calculations of savings over the life of a hypothetical solar installation when comparing these various options. At Solar Power Rocks, analysts project that residential solar installations in Texas will outperform the S&P 500. 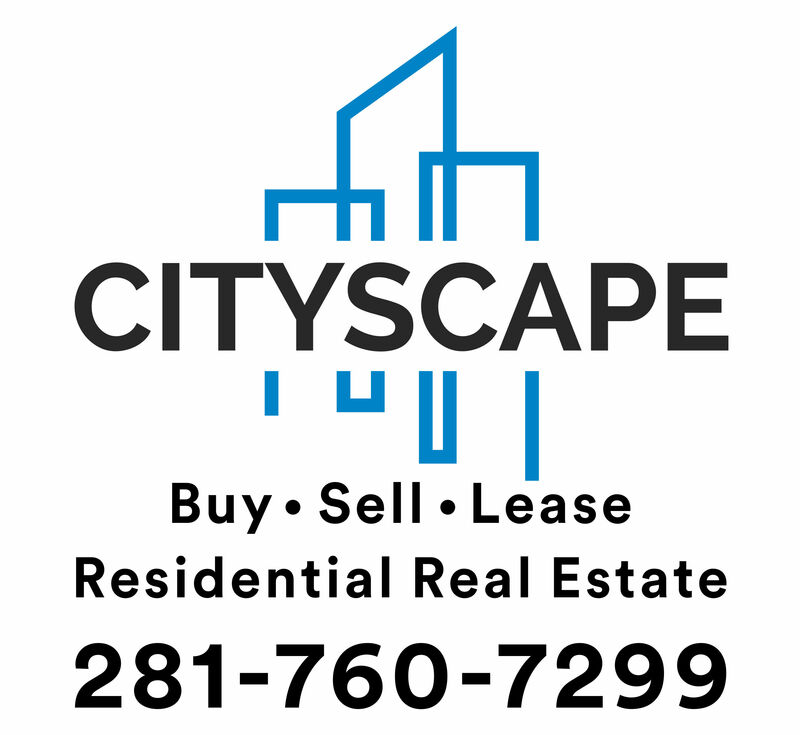 Looking to buy a home in the greater Houston area? Contact Cityscape Brokers for prompt and professional assistance throughout the home buying process. If you’re just now buying a new house or you are thinking of moving into a new house, it’s important to take a minute to consider your safety. An FBI statistic reveals that a burglary happens every 14.6 seconds in the United States. If you are planning on moving into a new home, it’s easy to protect yourself using these five easy methods. When most people think of burglary, they imagine somebody in a ski mask breaking in through a window, but this is not usually the case. Burglars will check doors and windows on the first floor, but they can also use second-story windows if they are within reach. Burglars know that second-floor windows are almost never locked. It’s important to make sure these windows, along with the ones from the first floor, are secured. For added protection, you can add extra window locks to your windows purchased from your local hardware store. Although a security system may cost a moderate fee, they are indispensable when it comes to home security. Many burglars will avoid breaking windows and barging into a home if they see that a security system is armed. Another point to keep in mind is the location of said security system. If it is nearby a window or glass, a cunning criminal could easily tell if the system is armed or not. Make sure to install the system somewhere less conspicuous, like a hallway. 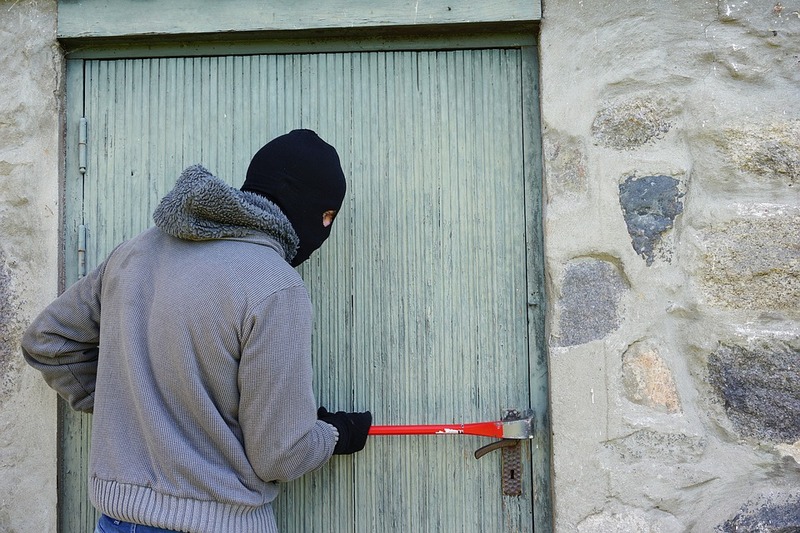 Many burglars will often stake out a home for days before they make an attempt to break and enter. One of the best things you can do as a new homeowner is to close the blinds whenever possible. Closing the blinds prevents stray eyeballs from peeking into the house and window shopping for your things. This seemingly small gesture could cause a thief to move on to another house. The majority of burglars enter the house through the front door. They usually do this by either picking the lock or by busting the door down with brute force. This makes having a strong door extremely important. When you are in the process of buying a new house, it would be wise to make sure the door is a solid frame and not a hollow-core door. However, if you have already moved in, there is a cheaper option. You can fit a double barrel deadbolt lock into the door to prevent burglars from breaking a window and reaching in to unlock it from the inside. Suppose someone was able to gain access into the house despite all your efforts. A safe is still a great way to protect valuables from damage or fire, but they may not always be the best way to prevent theft. Remember, a safe is a dead giveaway to a thief that valuables are hidden inside. If a thief finds your safe, he might just take the whole safe to open later, but a bolted safe is fixed to the ground and immovable. A bolted safe could function as an in-home safety deposit box, as it is virtually impenetrable. Burglaries happen to everybody. Most people may not assume that it will happen to them until their life is irreversibly damaged by the trauma of a home invasion. Finding the right home, in the right location, with all your security needs is a breeze with Cityscape Brokers. Cityscape Brokers help clients through the home buying process and can help you and your family secure a safe future.